Mehendi ceremonies are one of the most fun-filled and jovial events of any Indian wedding! Creating the right ambiance for these events can become tiresome. 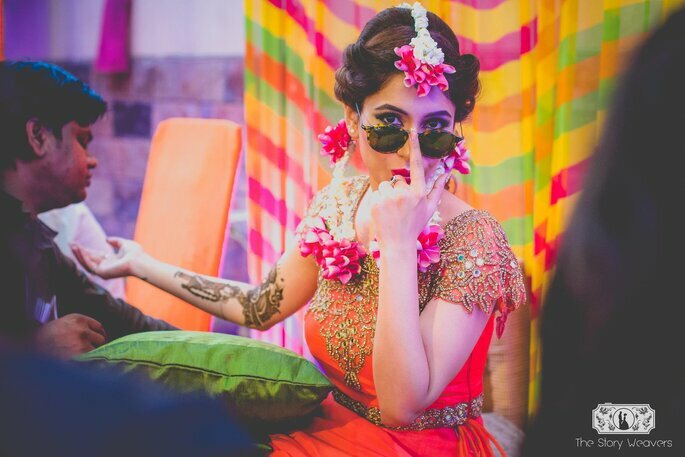 Here are a few innovative decoration ideas for your mehndi party, which will set just the right mood for the ceremonies and make them memorable. 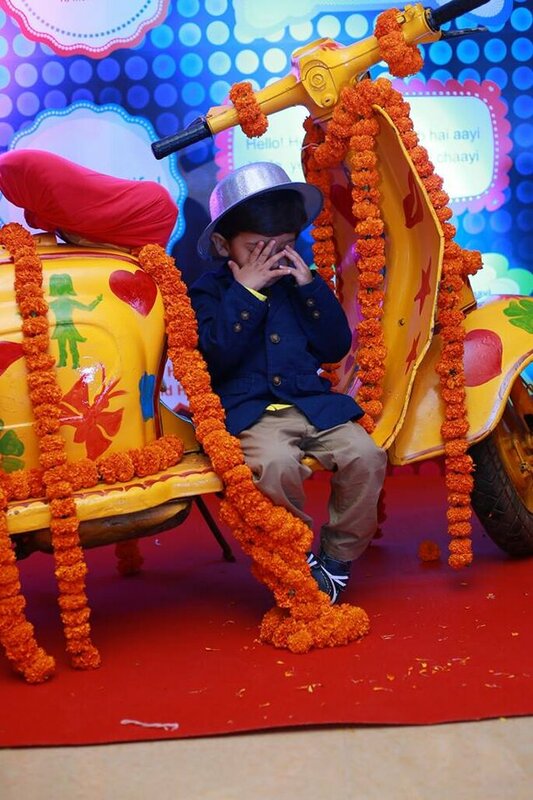 It is the most important and fun event for any bride and the most adorable photographs can be clicked only in this ceremony. 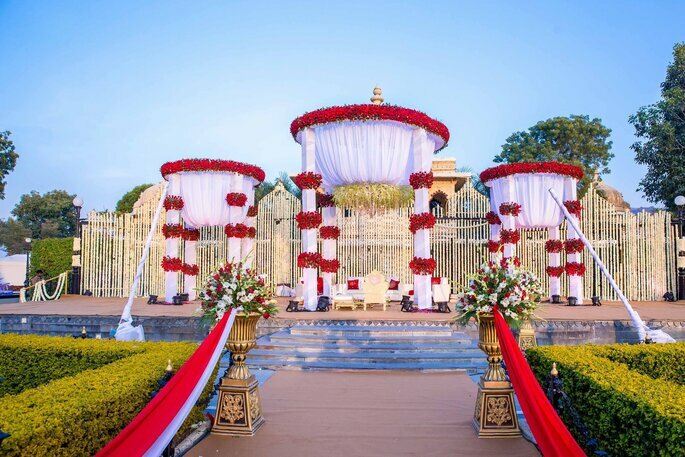 Book a planner and get the best wedding decor ideas from F5 Weddings. The entrance of your wedding place is the most and most important part of your decoration. 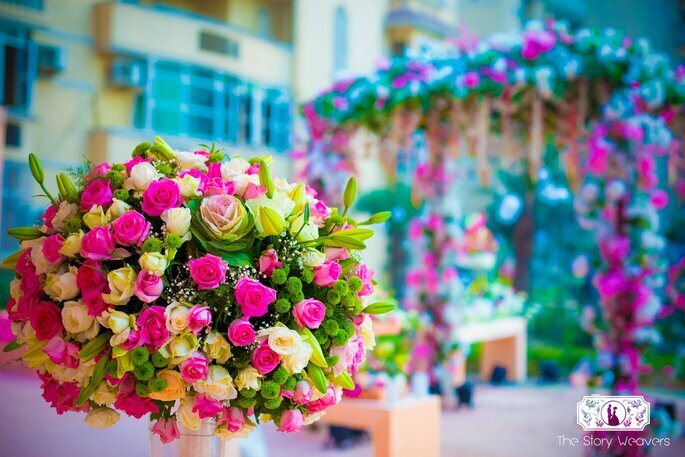 Flower decoration is the center of your whole wedding decoration flowers are the most eye-catching and attractive element of your wedding. Make the decoration well without forgetting any corner, beginning with the entrance and the corridor. At the beginning of the corridor, it is always advisable to place a floral motif to mark and can well cover empty space. Yes, always according to your tastes and reflect your personality. To make the stage look striking and showy, you could try out this idea of draping for the stage decoration. 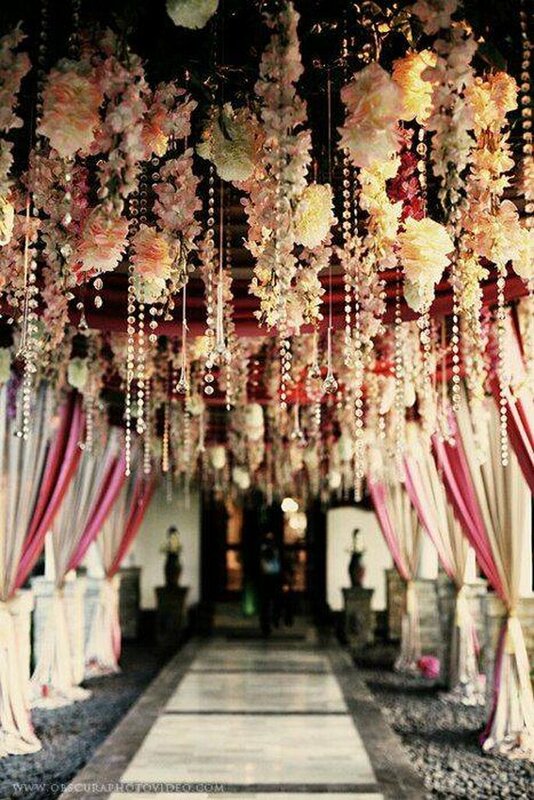 You can use floral drapes and satin drapes which will make your decoration look wholesome and artful! If the venue is of low height but the decor consists drapes then it will make the venue look bigger. That could only make it worth a place. 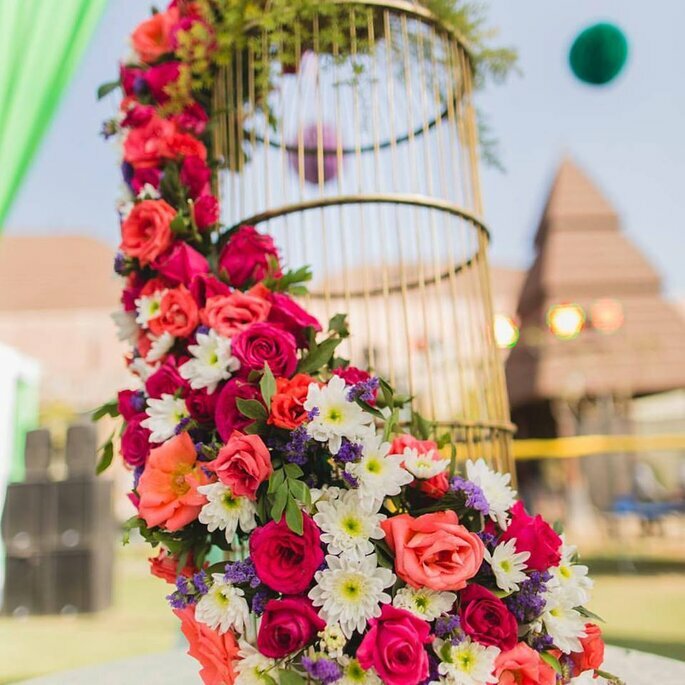 You can use colorful centerpieces or go for a particular color scheme for it, and use it to decorate your mehendi stage. This theme is an avant-garde in the wedding decoration ideas, and will add a unique touch to your function! It is quite in trend. In fact, it can also be seen in the catering and venue. Don’t forget to see How to choose the wedding decorations for the center stage. Pick on a beautiful, bright and colorful Indian festival and make that as your theme. Look for candles and diyas along with paper lanterns and idols of Goddess Ganesha and Lakshmi. If you choose Holi then look for the packets of colors lying around. So, plan a festival-based theme for your wedding to make it even more special. There are so many moments in your wedding week that involve you and your partner whether having a chat, getting ready to a function or just spending quality time in between. Your photographer can capture these lovely and romantic moments and these moments are so so special that words can’t express them and pictures will say everything. 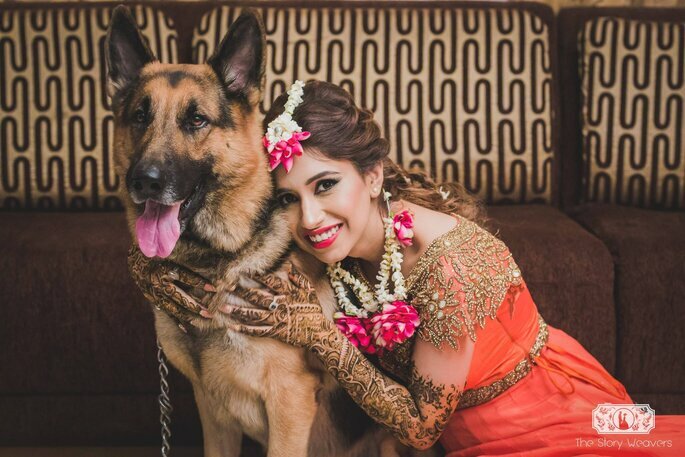 Or while the bride is having fun with her pet. 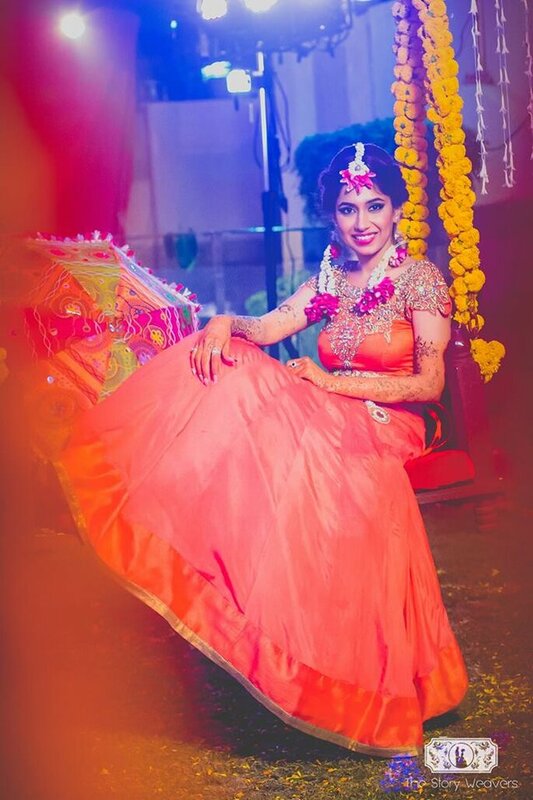 What better than recalling your childhood memories sitting on a Jhula, just when you’re about to get married! 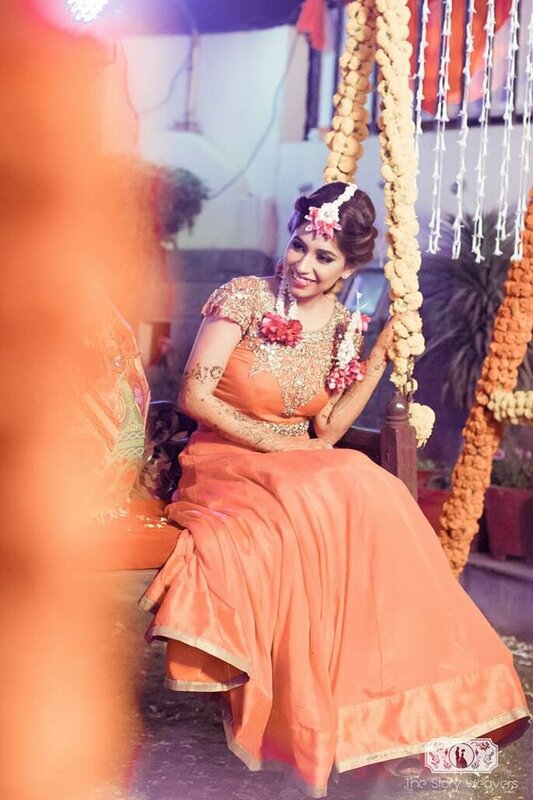 This style is trending among wedding decorators these days, and the bride-to-be looks adorable when she sits on the jhula and gets her hands henna stained. You’ll get the perfect pictures with a bright and sunny look. The area for family and friends will usually be mounted with chairs that are the way it should be, you should always use flower decoration for this to make the place polite and calm as flowers give best light decoration, No to dark decoration because dark decoration occupies mental space. If you want to make your guest area look stylish we recommend you to choose a large floral motif! You can use motif as an element to delimit the hall, as they will be placed in a row. So, all the grooms and brides-to-be, get ready to fill your day with gaiety by creating an ideal ambiance for your big day rituals! 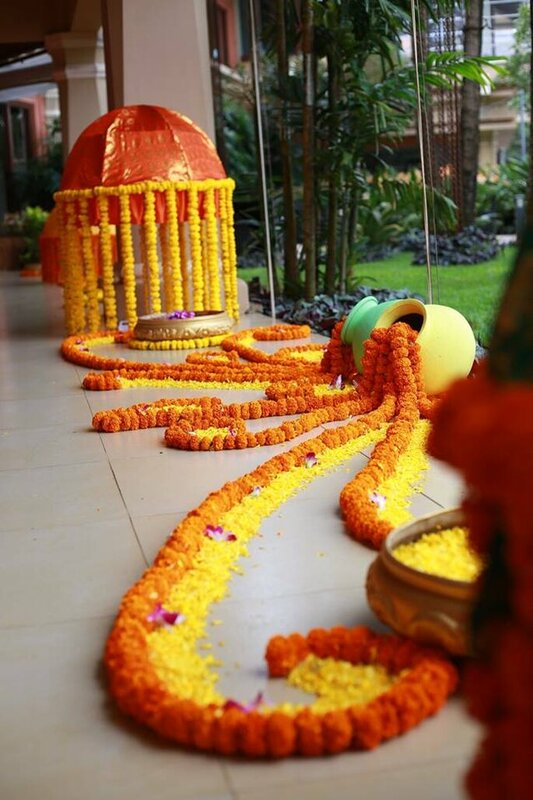 Haldi ceremony is the most memorable moment, so go ahead with the flow and make your guests’ jaws drop out. Ask your photographer to click a picture of yours with the decoration that’ll add a beautiful memory in your album. You can go for The Story Weavers.